UNITED STATES: Developer Deepwater Wind has unveiled its plans for a 120MW offshore wind project, of the coast of Maryland, northeast US. 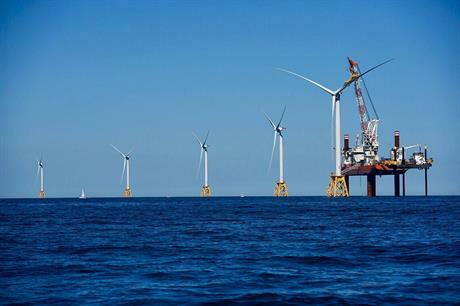 As the US' first offshore wind project at Block Island nears completion, developer Deepwater Wind has revealed its plans for the 120MW Skipjack Wind Farm for a site 30km northeast of Ocean City. The firm said it had "secured the rights to acquire the site's federal lease, subject to regulatory approval". An application with the Maryland Public Service Commission for Offshore Renewable Energy Credit (OREC) funding has been made. US Wind has also been seeking OREC funding for its planned 250MW Maryland offshore project, so the state opened up a 180-day application period. A decision is expected in May 2017. If Skipjack goes ahead, it will become Maryland's first offshore wind project, and its largest renewable energy site. The developer said the project could create $100 million for the local economy. "We're bringing down the cost of American offshore wind energy in a big way. Ratepayers in Maryland will benefit from energy that is both clean and affordable," said Deepwater Wind CEO Jeffrey Grybowski. Deepwater Wind is also developing the 90MW South Fork offshore wind project, for a site off New York state.